This looks like so much fun! And now I'm in the mood for fish! Stopping by from FF&P, hope you have a fabulous Wednesday! How Fun! We used to have family over for a fish fry often when I was little. Oh, how I miss it! You just made me super hungry for a fish fry! My uncle does the best and like you we eat it right out of the cooker!! Yummy Fish Frys!!! 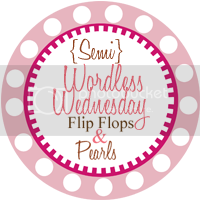 :) New follower from the Blog Hop and Flip Flop & Pearls. We have had some perfect evenings here the last few days. Now if they will just last a few more. Great pics. We always have a fish fry for Father's Day. YUM!